If you have a LinkedIn account connected to Concep Send, you can now edit the description that accompanies the campaign when it is posted by recipients or dropped in to the account as a direct URL. This feature will help you control the information in these LinkedIn campaign posts. Enter in a Social Network > LinkedIn icon link to your campaign via the Create Link > Social Networks interface in the campaign editor. 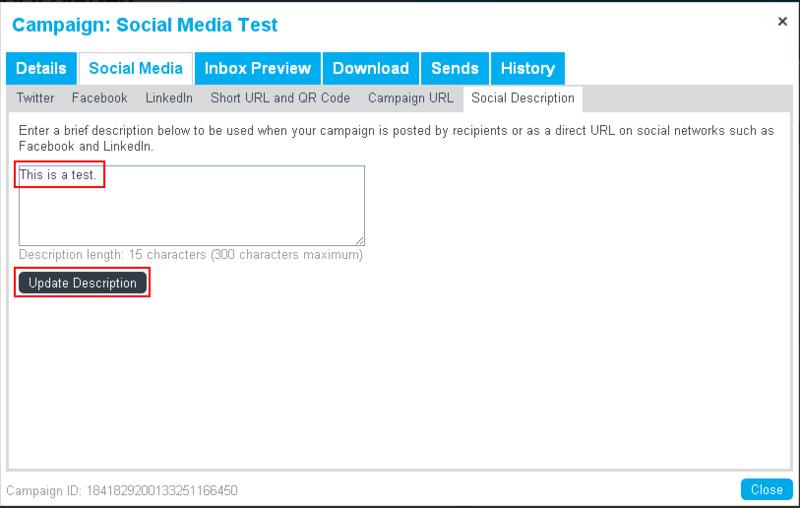 When you are ready to send your campaign, in either the Content / Recipients / Preview and Send step, click the blue dropdown next to the campaign title > More > Social Media > Social Description. 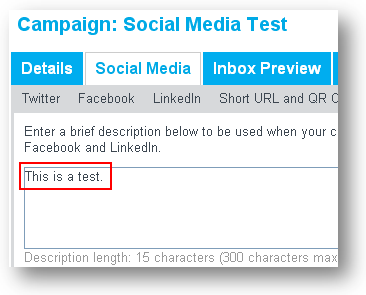 Here you can edit the description text for recipient LinkedIn posts of your campaign. Once the correct details have been entered, click Update Description. Bear in mind that there is a 300 characters maximum limit. Once this is done, send the campaign. Any recipient who clicks on the LinkedIn icon link you inserted will be presented with a LinkedIn sharing interface (once they have authenticated) including the edited description text. 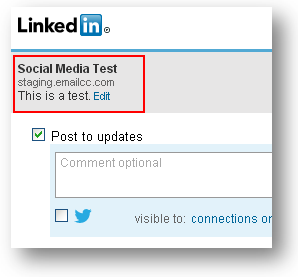 When the recipient clicks Share, the campaign and description text is posted to their LinkedIn account. Now you can send the campaign. 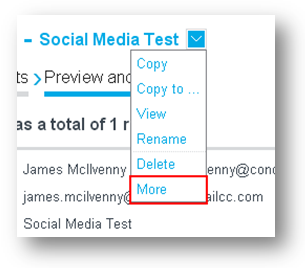 Once sent, return to the Social Media interface via the blue dropdown next to the campaign title > More. 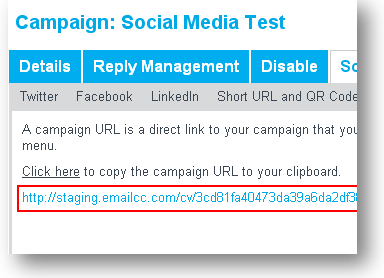 Copy either the Campaign URL or Short URL, and paste in to the Share an update… box in your LinkedIn account. 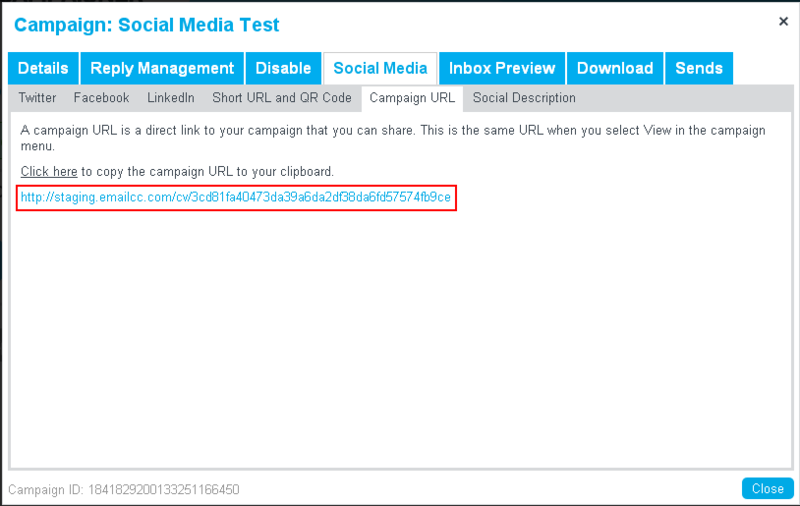 Click Share, and the campaign and description text is posted to your LinkedIn account. A recipient may also share a direct URL of the online version of your campaign. This will also bear the edited description text.